It is on days like this one a thick fur comes in handy - and one fun-loving panda took full advantage of his built-in protection as he took a tumble in the snow. Giant panda Wei Wei did not waste an opportunity to roly-poly in the cold at Wuhan Zoo in Hubei Province in China. 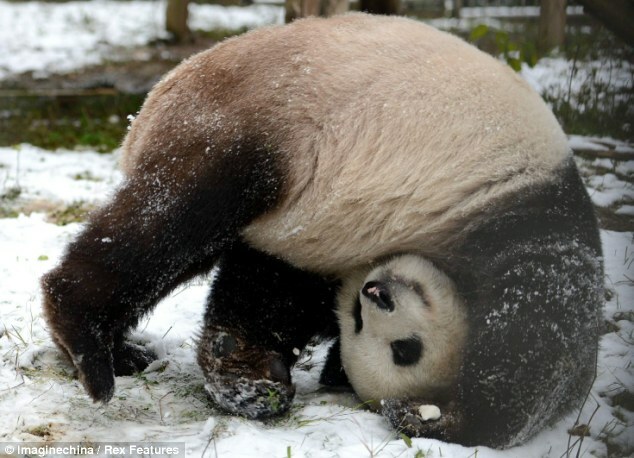 Wei Wei practiced his acrobatics alongside his friends at the zoo after a thin layer of snow fell over Christmas. 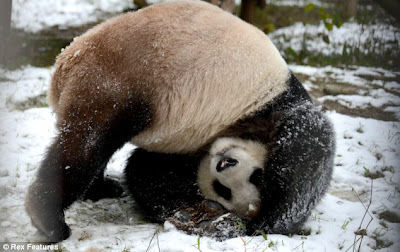 Wei Wei was photographed standing on his head in the snow before kicking off the ground to complete his tumble of joy in the wintry weather. 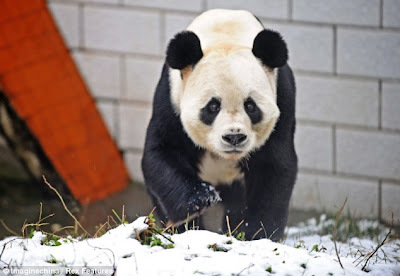 Fortunately for Wei Wei and fellow panda bears, their coarse, dense fur is the perfect protection against the freezing conditions in Wuhan City this week. 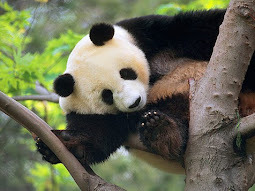 Giant pandas are solitary bears when in the wild, usually preferring their own company when foraging in Chinese bamboo forests. Giant panda bears are an endangered species, with around 1,600 left roaming free in the cool forests that are their natural habitat, according to the World Wildlife Fund. The bears are easily discernible due to their black and white coat and as a result the few left in the wild are often targeted by bounty hunters. 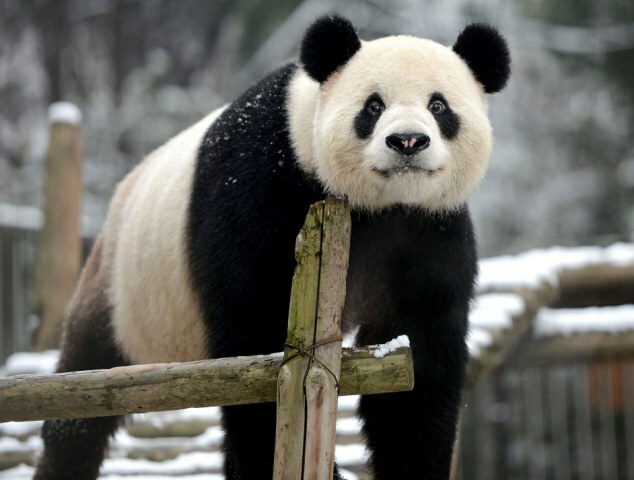 They mostly eat bamboo, but in captivity are also enjoy being fed honey, eggs, fish, yams, leaves, oranges, bananas and other special treats.